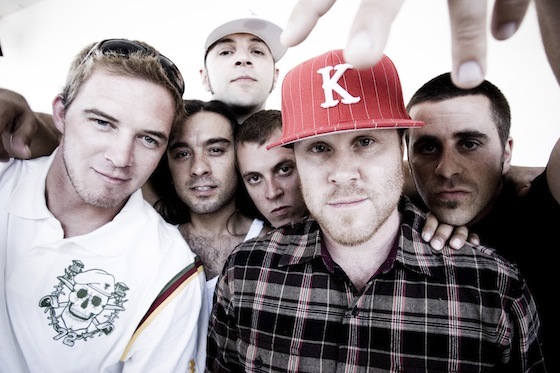 Few bands remain as succinctly Californian and categorically challenging as San Diego’s Slightly Stoopid. Signed to the late Bradley Nowell’s Skunk Records in 1995, they’re an act that’s been a signed Golden State institution for almost 20 years, carving out their niche by pulling together a variety of genres into a melding that’s all their own. Having been road dogs for the entirety of their career, even after two decades, they still wouldn’t have it any other way, tribulations and personalities aside. “You can’t be lazy as a touring artist,” says frontman and founding member Miles Doughty. When the band does come home, however, it’s to their beloved Ocean Beach, a central San Diego suburb that’s also home to like-minded laid-back act Tribal Seeds. It’s where Doughty and his bandmates grew up surfing, writing first songs, later building their private studio and office space there while raising families. The city is as much a member of the band as any of the seven are. Whether it’s their hometown weather or the success they’ve found over the past 20 years, Slightly Stoopid seems to just take it easy. They have every right to: They formed their own independent label just seven years after their formation, ensuring that there’s nothing that detracts from their ethos, allowing them to operate on their own terms. It’s a rare model, finding a band who can successfully market themselves on their accord while growing their fan base, and it’s an approach that’s grassroots in every sense of the word. Maybe going independent is the secret. Even in Doughty’s vernacular and delivery, there’s an air of relaxation and satisfaction that’s rare in artists these days. It could be attributed to Slightly Stoopid’s 420-friendly outlook as well, but he’s a frontman who’s a lot less harried and a lot more confident than most. Whatever the future has in store for the band, he’s sure to temper his admission of success with what got them there in the first place. Thanks for all the hours you put in at Pt. Loma High School.